Tyron Zeuge will make the third defense of his World Boxing Association (WBA) Super Middleweight Championship against Ghana’s Isaac Ekpo. The fighters will face each other this Saturday at the Inselparkhalle arena in Hamburg, Germany. The German champion will defend his crown for the third time since he won it in November 2016. Zeuge will have to face the Nigerian boxer, whom he already faced during his first defense in March last year and defeated in five rounds due to a cut in his face. The champion was cut by an accidental headbutt from Ekpo in the third round and fought in those conditions until the fifth, when the referee stopped the fight on the recommendation of the doctors and they went to the cards, in which the local was ahead. The rematch will be an interesting fight in which both will seek to keep the crown in their hands. Zeuge and Ekpo will complete the weigh-in ceremony on Friday before entering the ring on Saturday. 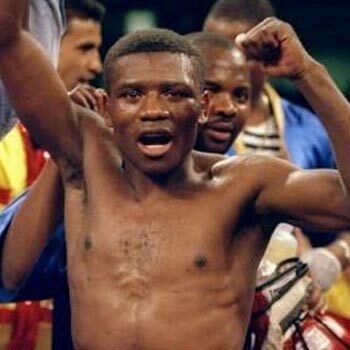 The European has a record of 21 wins, without defeat, a draw and 11 knockouts, while the African has a record of 32 wins, 3 losses and 25 knockouts.